Waging War on Counterfeits...Announcing a ceasefire!!! 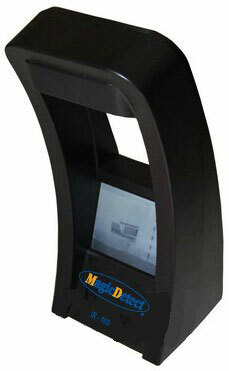 Hi-tech functionality and accuracy make the MagicDetect IR 100 the most reliable tool to detect bank notes and other security documents in banks, casinos, currency exchange offices, and all environments with large volumes of cash. The IR 100 is designed to verify infrared features of bank notes and other valuable documents.